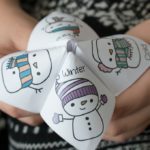 This Christmas joke teller (or fortune teller) is full of silly Christmas jokes that are perfect for elementary school students. 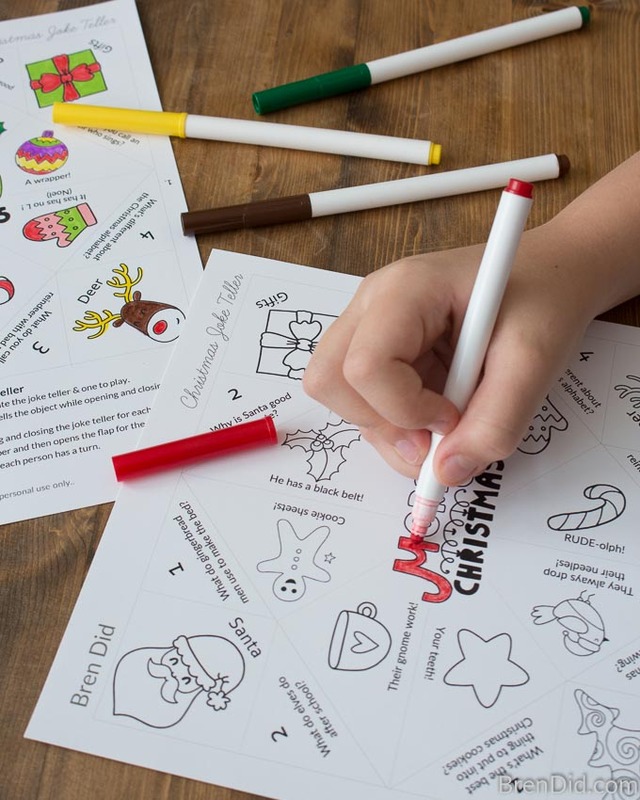 Grab the free printable for a fun Christmas party or a simple class activity! Never heard of fortune tellers? 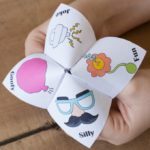 You may have called them cootie catchers, salt cellars, or chatterboxes depending on where you lived as a child. 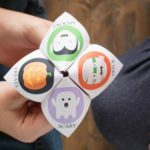 The exact origin of the cootie catcher is unknown (some claim they came from 17th century Europe while others believe they are a Japanese origami invention) but it’s safe to say that they were popular with children all over the world by the early 20th century. 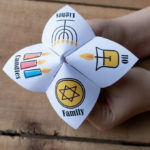 When I was an elementary school student my friends and I would make each other fortune tellers that “predicted” the number of children we would have, who we would marry, and what our jobs would be as adults. Get the Christmas Joke Teller HERE! 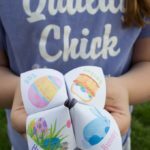 Fortune tellers are made by folding a square of paper into 8 movable flaps that you label with messages, fortunes, or jokes. 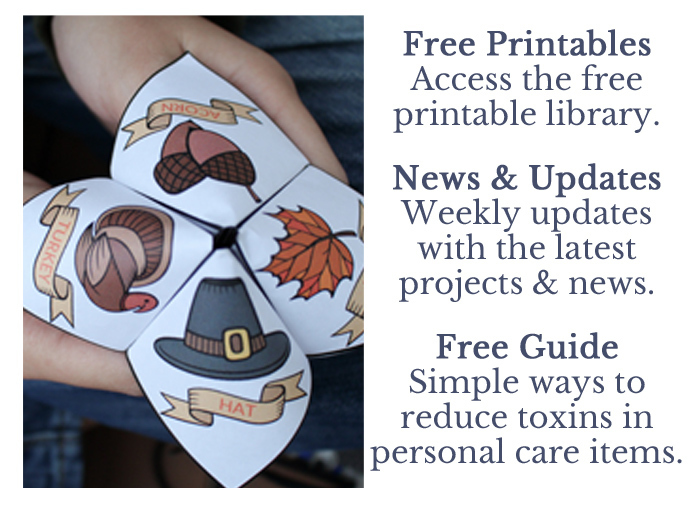 Download and print the folding instructions here. 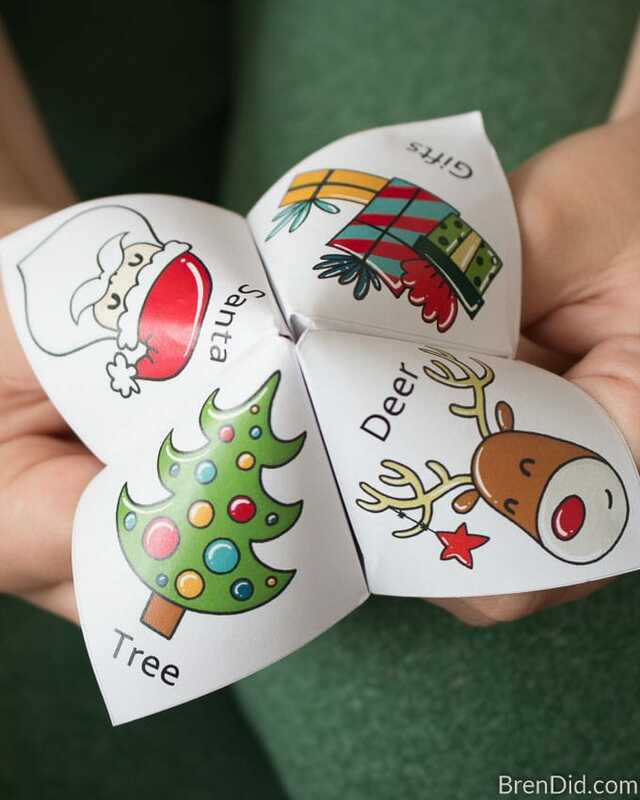 My premade Christmas joke teller craft is as easy peasy! 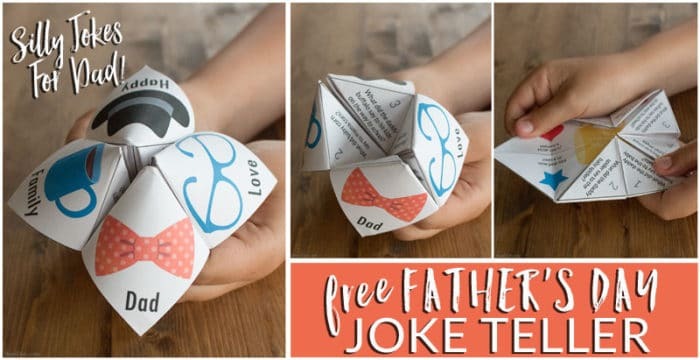 Fold and start your own tradition of silly holiday jokes! 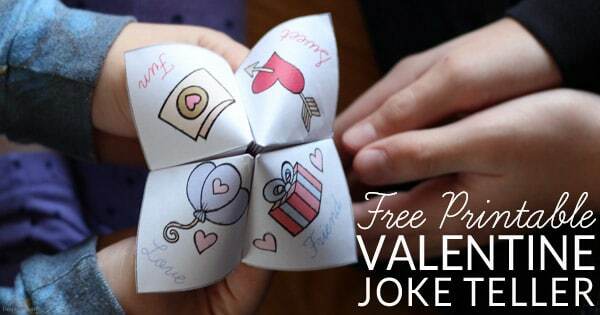 To use: The person holding the joke teller asks a friend to choose from each layer of the joke teller. The choices determine which flaps are opened and which joke is told. 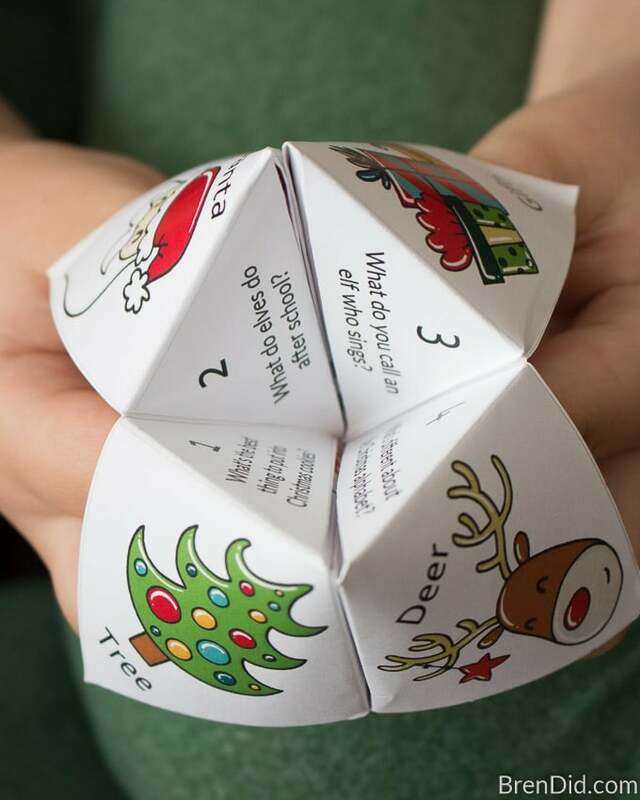 The Christmas Joke Teller gives students the choices of a Christmas item (Santa, tree, gifts, or deer) and the number of the joke they want to hear. 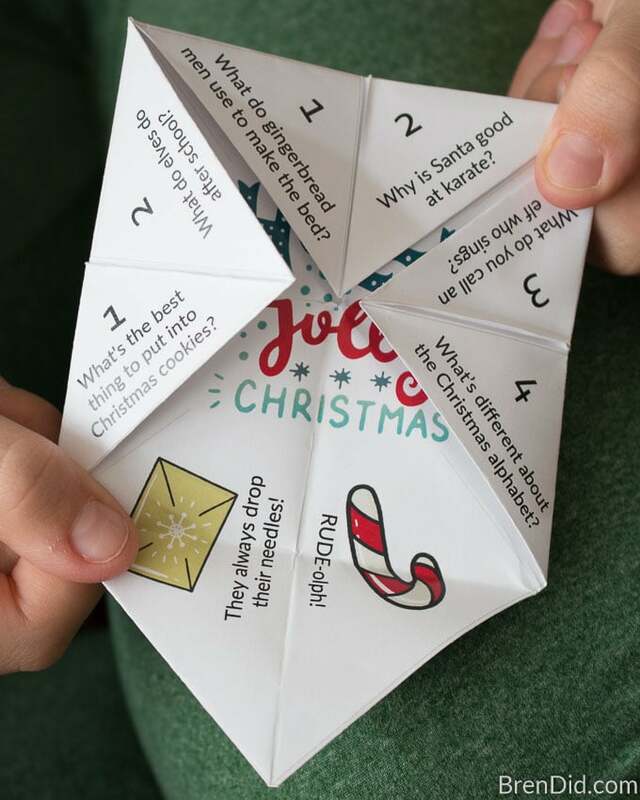 The inside flaps are filled with cute Christmas pictures and the answers to the jokes. The joke tellers come in 2 versions: full color and black and white. This project is popular with teachers who don't always have the budget for color copies. 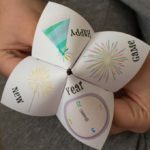 The black and white version is perfect for kids to color and fold. 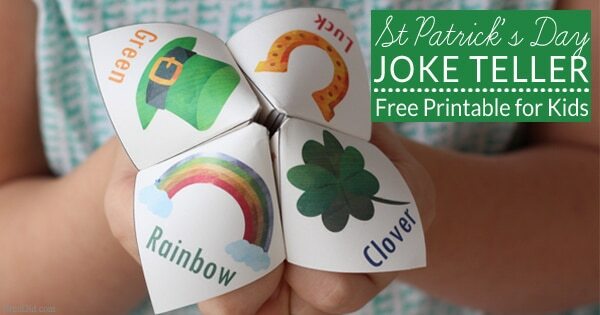 Grab the joke teller and folding instructions here and share these 8 silly Christmas jokes with your favorite kids. What do elves do after school? Their gnome work! What does a gingerbread man use to make the bed? A cookie sheet! Why is Santa good at karate? He has a black belt! What do you call a reindeer with bad manners? RUDE-olph. Why are Christmas trees bad at sewing? They always drop their needles! What's the best thing to put into Christmas cookies? Your teeth! Just an FYI, in the directions, Step 5 says that the questions will be facing up, but it is actually the answers that are (and should) be facing up. Thanks for this activity! Using it for a class party today in Mississippi! Hi Crystal! We’ve emailed it to you multiple times but it keeps getting bounced back by your server. Perhaps your workplace has a block set up. Can you please try a new email address? Hi. 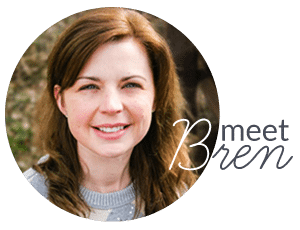 I linked onto many different printable pictures on Pinterest that all lead to your free printable sign up but it actually does not work? Vanessa, you can sign up using the form above or here and the joke teller will be emailed to you. I see you say you have two versions to print out, color or black and white. I downloaded the only version you have and it’s the color version. How do I get the black and white version so my granddaughter can color the images. When I printed the project I chose black and white and received a black and white colored version, fields filled in not blank. I work as an occupational therapist in a small school for kids with special needs. 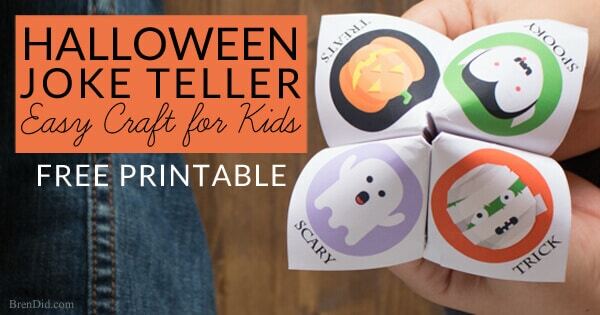 We are in love with all of your fortune tellers!! We just downloaded them all so we have them for the upcoming year!! We hope you continue to make them for other events like 4th of July etc.